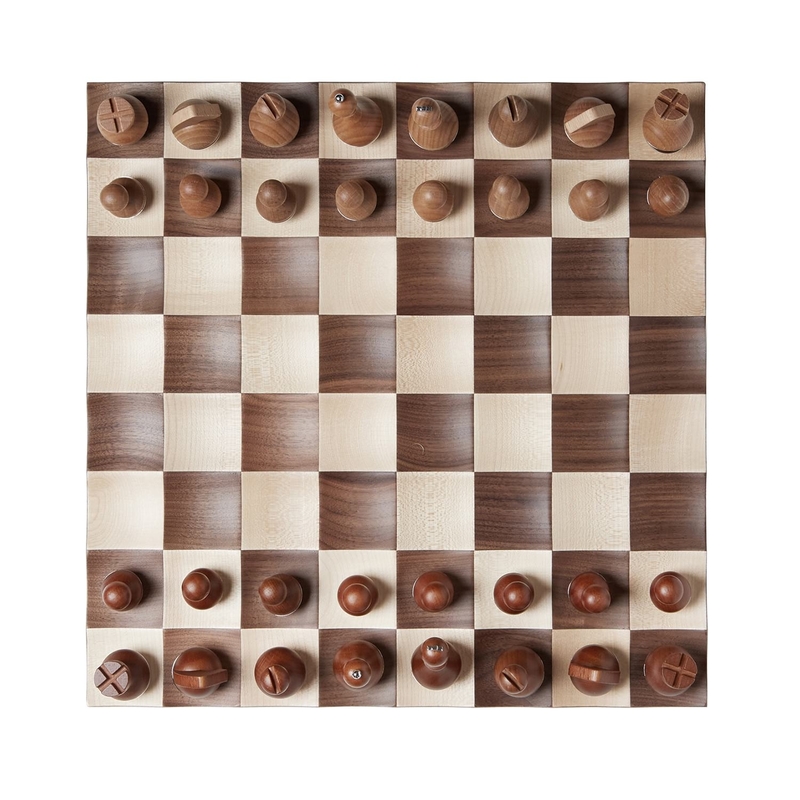 Wobble chess set by Umbra is a stunning wooden chess set composed of a chess board and a full set of chess pieces with unique and creative design. Motion is added to an otherwise still game. A concave landscape stabilizes freely quivering chess pieces, creating a lively interaction between board and pieces. 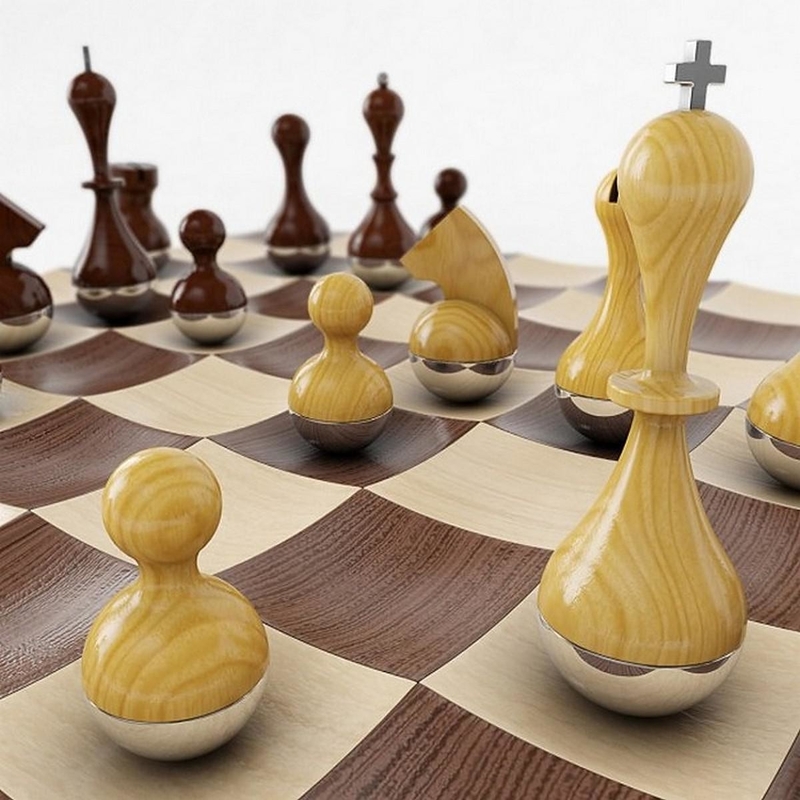 If you are a chess player you will surely love it for the motion and dynamism its adds to your game. 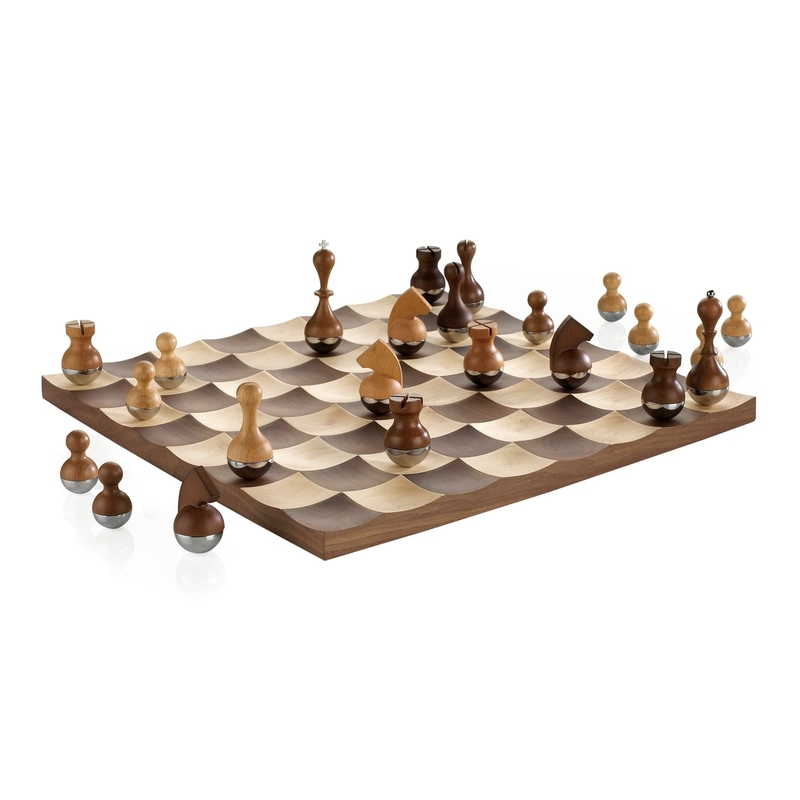 Yet even if you are merely a design lover, with no relation to chess, you might want to try it out and learn the famous strategy game! 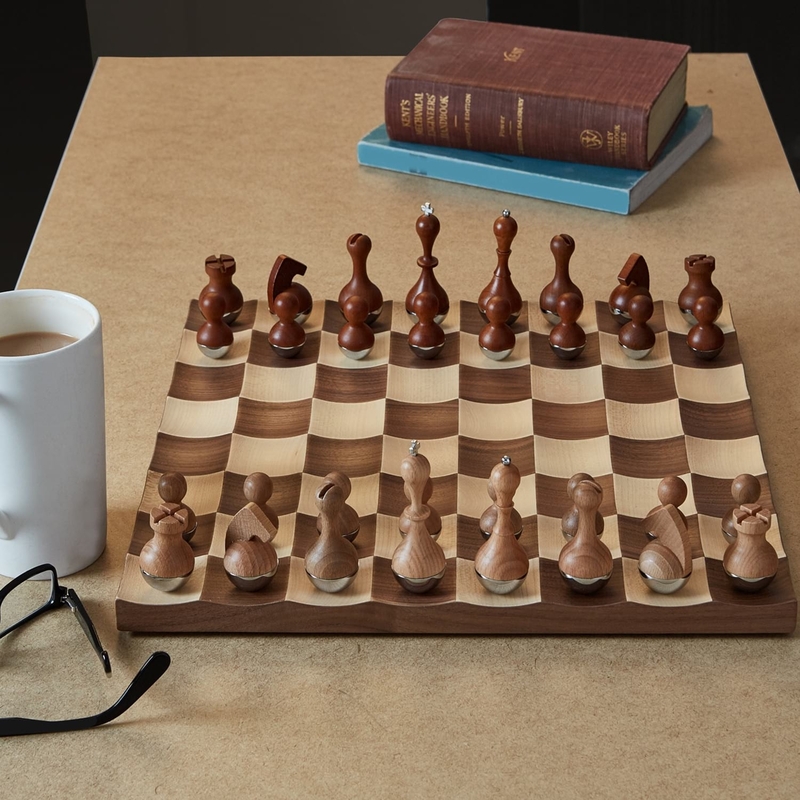 The Umbra Wobble Chess Set is entirely made of solid walnut wood and maple wood. 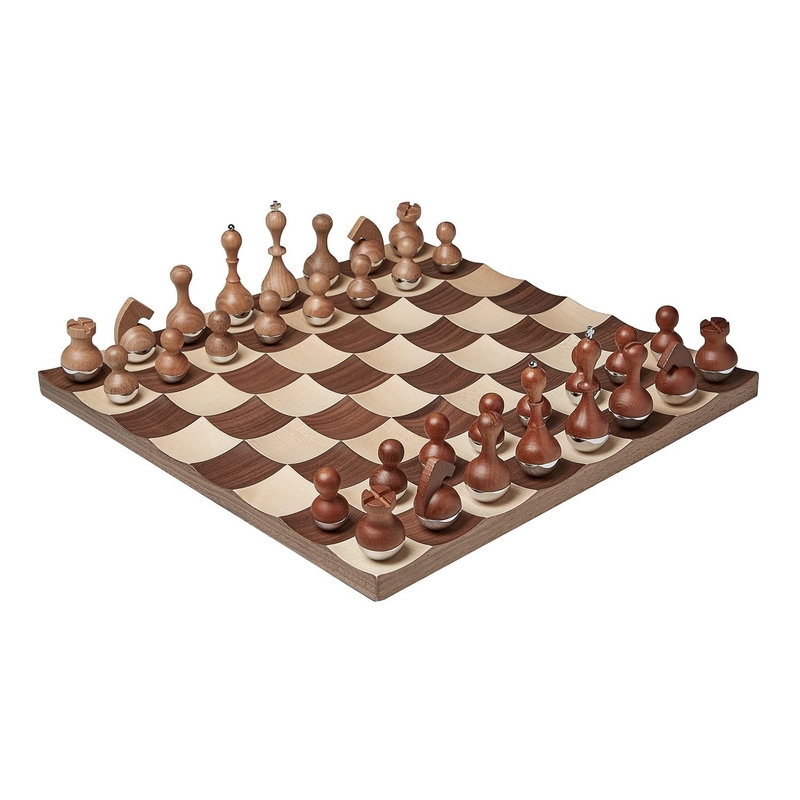 Its special design feature is its wavy surface that causes the chess pieces to woggle on it. 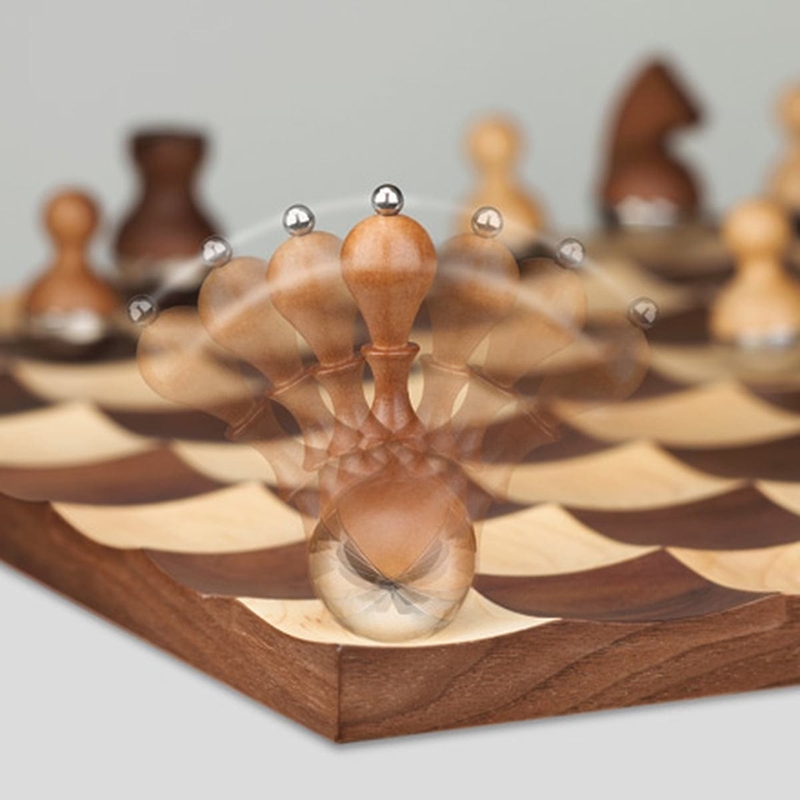 The chess pieces themselves are made of wood with a spherical metallic base that allows them to swing free on any surface. 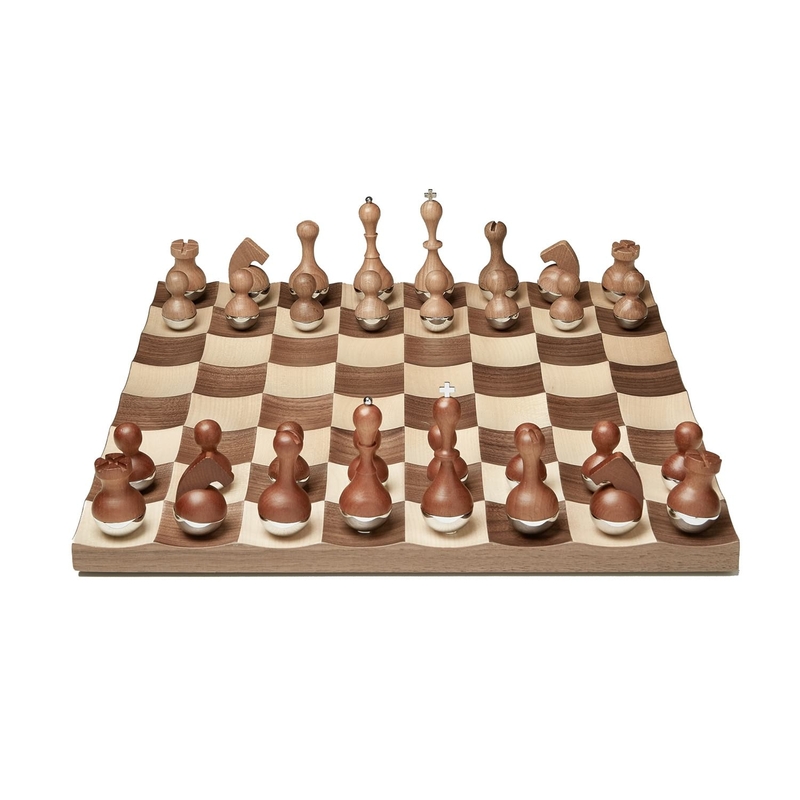 This smart looking chess set is an innovative idea for refreshing this popular, ancient game. 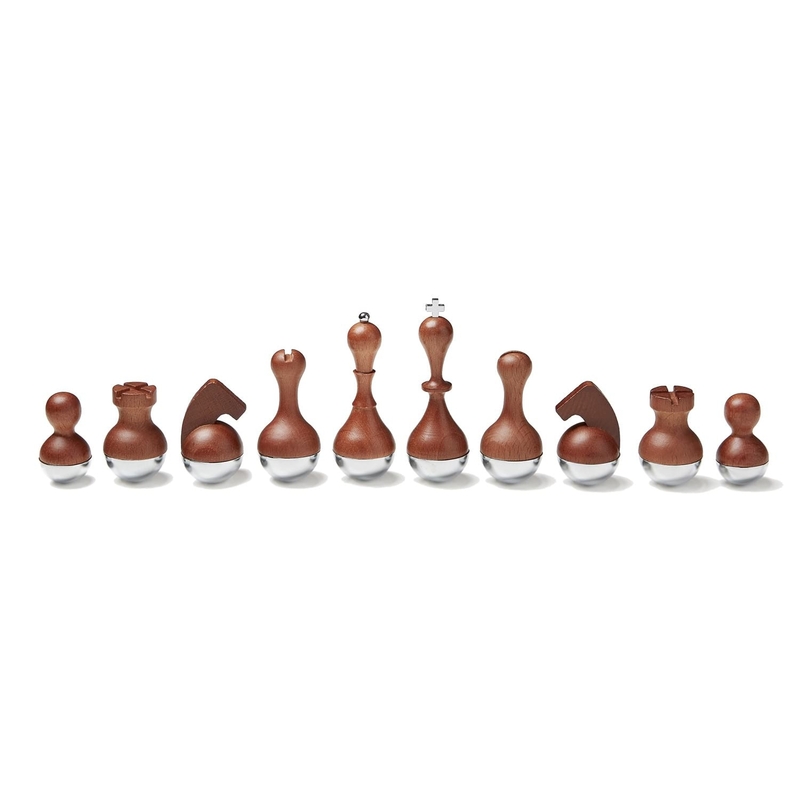 The Wobble chess set was designed by Adin Mumma for design objects manufacturer Umbra. 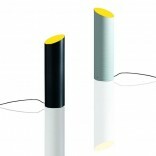 Material: Solid maple wood, solid walnut wood, steel. 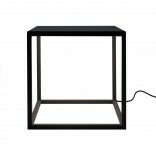 Dimensions: 38 x 38 x 3 cm.